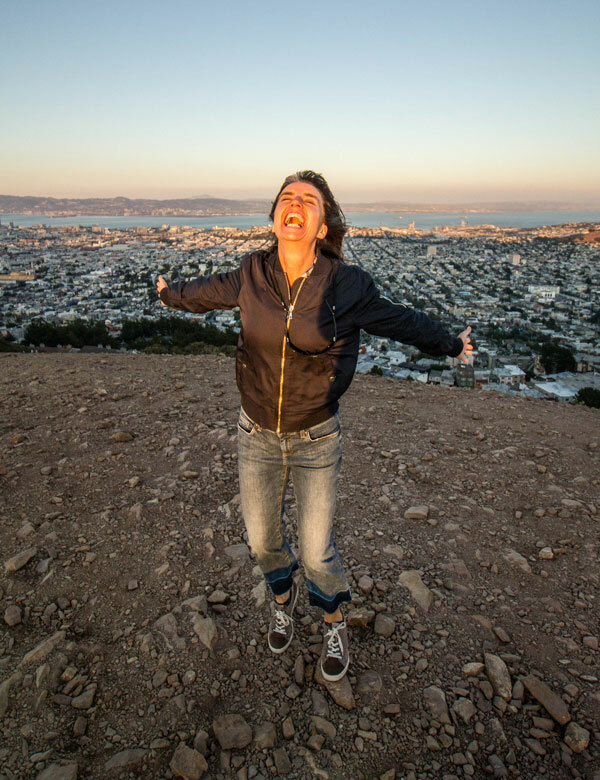 My wife Clare, confidently standing on the top of the world aka as San Francisco's Twin Peaks in 2015. One of my favourite pictures of her. She is taking her space! I have a wonderfully weird gig coming up in May. I’m talking to a group of women who are focussed on empowering women about public speaking and self-confidence. So it’s an interesting challenge for me to tackle - mansplaining or what? So a part of me is a little scared, not of the public speaking, but of taking that space. I once appeared in front of a women’s committee at my Student Union in the late Seventies. They were fairly radical feminists and it didn’t go well. I should have been better prepared. I was only 19. So this Bank holiday weekend I’ve got myself a pile of books on women and confidence and started to make notes. 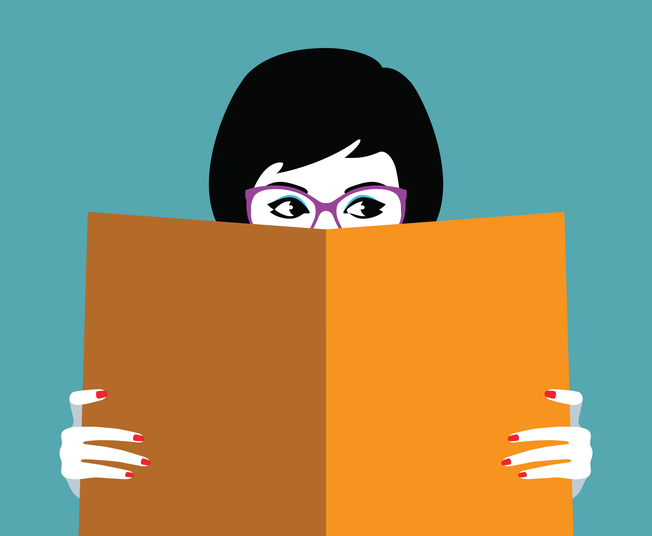 Tara Mohr’s “Playing Big, A Practical Guide for Brilliant Women Like You” is a great book. What I find compelling isn’t just about women and confidence, because most of what she says also applies to men but she’s really opened my eyes to a “new old” way of thinking about fear. She writes about how the Hebrew Bible uses two different words for fear. The first is Pachad: this describes the fear of what might happen, the over-reactive irrational fear, which we know as anxiety. Our lizard brain is reacting. Most of us know this fear well. We want to avoid taking emotional risks. It’s one of the main reasons why people come on my courses. The second word is “Yirah”and we don’t name this very often, if it all. And this is where it becomes really interesting. 1. The feeling that overcomes us when we inhabit a larger space than we are used to. 2. The feeling we experience when we suddenly come into possession of more energy than we had before. So it’s the fear of standing tall, of moving into a new space or way of being. The feeling of “OMG, am I really here to do this?” The fear of moving towards something you really want. The fear we experience when we step into our own power. Of course we often experience Pachad and Yirah together but it’s worth unpacking them. “1. Ask yourself: what part of this fear is pachad? Write down the imagined outcomes you fear, the lizard brain fears. Remember they are just imagined, and that pachad-type fears are irrational. There is a spiritual language here that I wouldn’t normally use, but I think it is a really helpful way to re-think fear. I see this fear quite often on the second day of my courses. Now I can put a name to that fear. It’s Yirah and it’s a fear we need to move towards. And I will be standing in Yirah for my speaking gig in May. Just one tip for public speaking? There are thousands of tips about how to move away from public speaking anxiety. Yikes –that’s a lot of work and huge amount of pressure. But the trouble is that they mostly don’t get anywhere near the issues. So after 16 years of teaching I want to reveal my ultimate tip for changing our anxiety around public speaking. Cue drum roll. It’s the simple one; you need to change how you think about public speaking. “Is that all I’m getting?” you might say to me. It may not sound much but it’s a fundamental step. Or a series of steps. And it can be long lasting. The thing about re-thinking is that once you have got it – you don’t need to relearn it. Tim who came on my one day course in 2011, wrote to me last month about a broken link in my new website. He’s a kind man. He also put on his email “I’m still hugely grateful for your help. Years later I still marvel at the change.” So whatever happened on one day, five years ago, has lasted. What happened was Tim changed how he thought about public speaking. And it’s stuck with him. Let’s take one step back and take a quick look at Dr Carol Dweck’s work on mindsets. Her research shows that the view you adopt for yourself profoundly affects the way you lead your life. So a C+ in a student essay could be seen as a failure, or an opportunity to learn more and to understand essays differently, depending on our mindsets. Dweck’s research shows that just that difference in thinking about what we believe about ourselves can make a huge difference to our love of challenges, belief in effort, resilience in the face of setbacks and greater success. People coming on my course have a belief that is possible to change. It might be a very small belief at the beginning of the day. But it’s possible. And that’s where the re-thinking and the new learning starts. So what other shifts of thinking do we need to do with public speaking? There are lots that we can make so here are just a few. Imagine going from the fixed mindset idea "I will always struggle with confidence"
a growth mindset one of"I'm learning to be confident, it might take awhile and there might be some tricky times on the way but there is a whole bunch I can learn". “I'm a human being and fear is normal. It affects everyone else too. I need to learn how to be with fear, and how to think differently about it”. Olympic athletes change their relationship to fear by describing it differently for example “I’m in the zone”. Of course I’m not saying that is ALL you need to do around fear. There are a number of re-thinks around fear that are really important. This is what I write about in my other blog entries. Good speakers are really comfortable with silence AND they know that audiences need time to absorb what a speaker is saying. Pauses really help people think! So pauses are good and not a sign of weakness. Honestly! For example I was working with a man on a course last week who saw his audiences as giving him “a broadside”. For those who don’t know your naval history, a broadside is a ship firing ALL their canons on one side at you at once. Audiences for him were pretty devastating. Regular readers will know that I bang on about audiences a lot. The shift I want people to get is that blank faces are normal in an audience. It’s just how we listen in an audience. This shift in thinking that audiences are passive listeners rather than full of hatred/judgement is one of most useful shifts people make on the course And that they are thinking about other things other than you (e.g. mortgage, a row they have had at home, athlete’s foot cream or should I go shopping on the way home). “Mistakes are normal, most of the time audiences don’t notice them AND what I need to do is be less worried about making mistakes and get better at recovering from them”. an understanding of just how easily you let everyone else take the space when you are in the audience. When it’s other people’s turn we just let them take the space with ease. Everyone else is doing the same for you when it’s your time. The fear of public speaking is irrational to you have got a wonky brain – love it! Actually human beings have only just arrived in civilisation – 98% of our brains were developed before we got language. We have been living as hunter gatherers for millions of years and within a quick burst of 10,000 years we are in cities. A lot of our brain is still stone age and we are animals that used to be hunted! So let’s be curious about our human brain, the “software” is a bit wonky and you need to realise how it interacts with the modern world’. See public speaking simply as a conversation, see it as chat,” At the end of a day's course, one participant saidwith surprise in her voice"Oh, its just normal speaking to normal people!". She'd made the shift. Public speaking tips around anxiety are to be taken with a pinch of salt if they don’t include elements of re-thinking public speaking. Tackling public speaking anxiety is really not about just about speech preparation or taking sips of tepid water. Jane had done the re-thinking needed to be the centre of attention, she understood audiences far better. She had said on the course "When I go to other people's weddings, I'm really happy for them". At the church there was a twinge of negativity but the re-thinking shifted the fear. police shootings and public speaking? What's the connection between shooting and speaking?. Well, Malcolm Gladwell in his book Blink, writes about the what happens to police officers in the USA under extreme stress. Tunnel vision, diminished sounds and the sense that time is slowing down. Under too much pressure "we get too aroused and past a certain point our bodies begin to shut down to many sources of information that we start to become useless"
After 145 heart beats per minute (bpm) complex motor skills begin to break down, after 175 bpm parts of the brain start shutting down, vision becomes restricted, we become clumsy, people even often fail to even dial 911 properly. Often people dial 411. So our thinking narrows. Now in my public speaking workshops often people talk about blank minds and losing the ability to think clearly. Unlike being an American police officer this doesn't lead to the occasional wrongful shootings. Thank goodness. But it can lead to very unpleasant feelings - the feeling of being overwhelmed, or not being able to cope. Learning the right skills around public speaking and understanding more of what is going on helps us to reduce the stress levels massively so that the brain is not under stress and it doesn't give us a blank mind when we most need to be fully resourced and functioning.